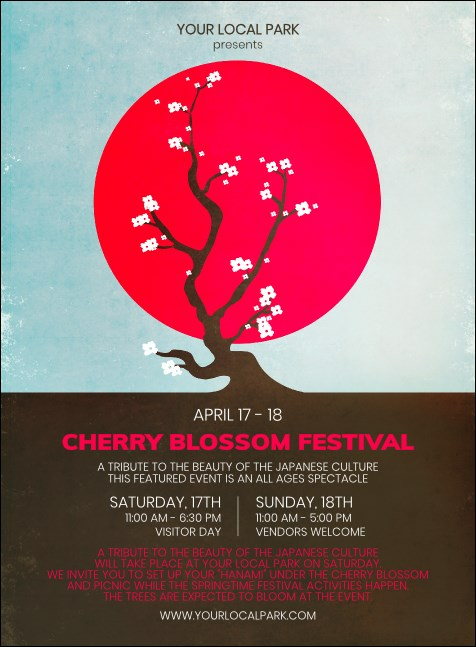 Invite your guest list to join the celebration of traditional Japanese culture and enjoy the symbolic beauty of the sakura trees when you send out individual Cherry Blossom Circle Invitations in advance. Each Invitation features an artful background design with a stunning red moon pictured behind a cherry tree beginning to bloom. TicketPrinting.com helps your promotions blossom.